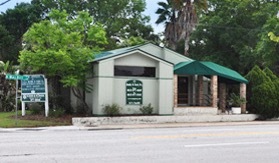 If you’ve recently been informed that a loved one has fallen in a Florida nursing home and suffered serious injuries, you are not alone. There are over 1.5 million seniors living in nursing homes at any given time, and about 1,800 people die from injuries suffered in reported falls at nursing homes each year. The operative word is “reported.” At Roman & Roman, P.A., our experienced nursing home negligence lawyers know that many injuries and falls are not reported. Of the ones that are reported, many are reported as “unpreventable” or “idiopathic,” meaning the cause could not be determined. The truth is most nursing home falls are entirely avoidable with proper care. 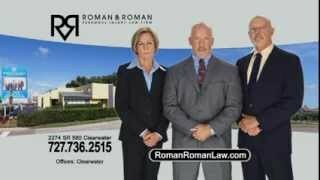 If you’ve been lied to about the cause of a fall, or you simply aren’t buying the explanation the nursing home is giving you, reach out to Roman & Roman, P.A. 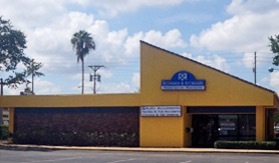 today to schedule a free initial case evaluation with one of our experienced attorneys. The Centers for Disease Control and Prevention (CDC) reports that the average nursing home with about 100 beds will typically have around 100 to 200 falls annually. That means upwards of two falls per resident per year, and what’s more, the majority of the falls happen to residents who are unable to actually walk. #1 Better Staffing – Poor staffing levels result in more residents per staff member. This means residents may sit for upwards of 10-20 minutes with a call light going off and no one responding. #2 Better Training – Poorly trained workers often try to move residents without help, leading to injuries. #3 Bed Alarms – A simple bed alarm that can be purchased for as little as $30 can alert staff that a resident is shifting to get out of bed. This alarm system gives staff the extra few seconds notice to get to the resident to assist. A typical hip fracture costs more than $100,000 to repair. It’s almost ridiculous not to spend the $30. #4 Canoe Beds – Also called “concave” mattresses, these beds are shaped like a canoe, making it more difficult for residents to exit their bed. When used in conjunction with an alarm, it buys staff a few extra seconds to get to the resident to help. These are especially effective for residents who have cognitive impairment like dementia, as they may forget their limitations. #5 More Frequent Monitoring – This goes hand-in-hand with better staffing, but if you check on residents more frequently and monitor toileting needs more carefully, you have a better chance of preventing falls before they happen. 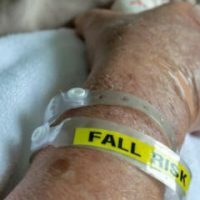 Obviously, the most important thing nursing homes can do to prevent falls is to properly assess the risk upon admission and keep assessing changes in status throughout the resident’s stay. This is usually the number one reason for falls – a lack of proper assessment and documentation. 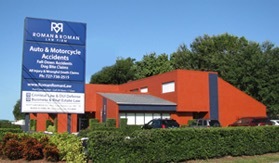 If your loved one has suffered injuries in a nursing home fall, contact the Clearwater nursing home abuse lawyers at Roman & Roman, P.A. today.